The operators of this comfortable mid-range hotel place great importance on the well-being of their guests with the reception being open around the clock. 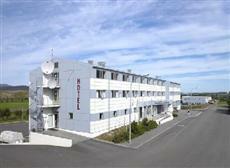 The hotel provides Internet access in the rooms and public areas (WLAN). The friendly hotel staff are happy to offer room service and a wake-up facility. The business suites provide all the comforts business people can expect. Use the hotel's free car park from the moment you arrive. A radio and TV in each room cater for your evening's entertainment. If you wish to be allocated a room for non-smokers, or require a cot, please indicate this when booking. Among the features of your room are a hairdryer and a kettle. All kinds of delicacies, including vegetarian dishes, are available to savour in the hotel's restaurant. The hotel bar has a large selection of drinks for your enjoyment.